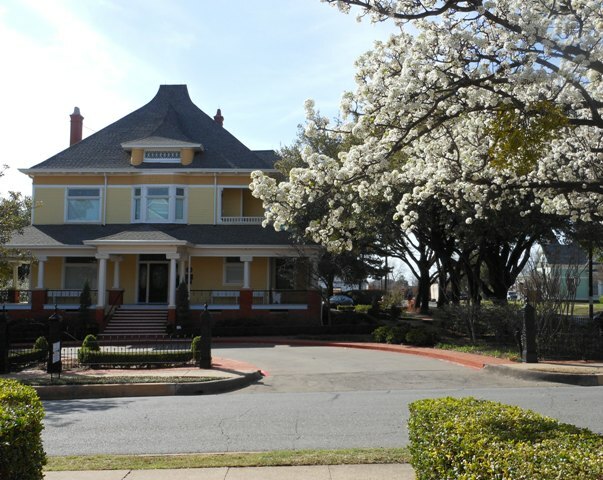 Spring is definitely on its way, evident by the blooming trees and flowers everywhere … and by the spring-oriented events taking place in McKinney in March. McKinney’s Great Outdoors: Spring months make us want to be outside, tending to the yard, planting gardens of flowers and vegetables, hiking on nature trails and taking to the roads for races. Gardening: Learn about drought preparation, composting, tree maintenance, herbal gardening and raised garden beds at Soil Revival for Survival (March 3). Chambersville Tree Farms hosts this free conference where amateur and professional gardeners will demonstrate and discuss practical solutions for reducing water use and improving the health of your soil. Vendors will be on-hand, too, to share water-wise solutions for working in your yard and garden. For more gardening information, visit the Collin County Master Gardeners Lawn & Garden Show (March 24-25) and the Earth-Kind Drought Management Conference (March 27), both at Myers Park. Commune with Nature: The Heard Natural Science Museum & Wildlife Sanctuary provides a wide range of activities for families in March, especially during Spring Break (March 10-17). Kids can try out mini-camps (March 12) where they’ll go behind the scenes with the Heard’s education animals, create nature art, explore rock and fossil collections, and more hands-on learning. Also at 1:30 p.m. on Monday, Wednesday and Friday of Spring Break week, families will learn about the animals in the continuing Animal Superheroes exhibit. 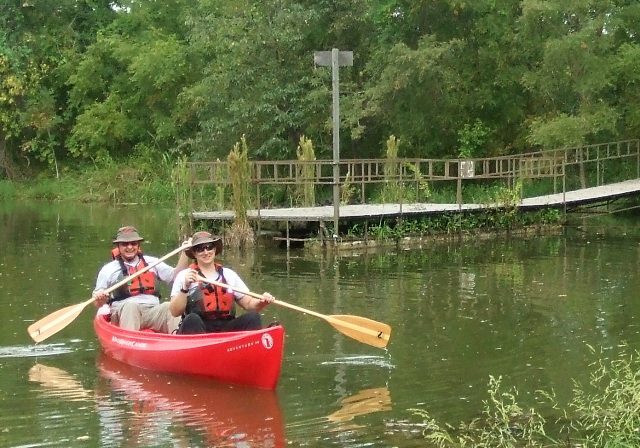 Families will venture out onto the wetlands (March 3 & 15) for Family Canoe Try-It (reservations required). And learn about owls and their habitat during the Owl Prowl presentation and night hike (March 17; reservations required). Enjoy Being Outdoors: Other outdoor activities this month include the Leaping Leprechaun 1K, 5K and 15K Race in Stonebridge (March 10), Classic Car Show at Tucker Hill (March 3), shopping at the last winter Farmers Market at Chestnut Square (March 17), and the monthly Third Monday Trade Days (March 16-18). The Heard-Craig Center for the Arts hosts a free Art History Brown Bag lunch-time discussion (March 7) on Bierstadt`s Vision of the American West at the Carriage House (205-1/2 W. Hunt). And find your place in the spotlight by trying out for the upcoming McKinney Summer Musicals’ 2012 production of My Fair Lady (March 30-April 1). McKinney Community Concerts presents two shows in March – Shaken Not Stirred (March 3) and Mac Frampton (March 24) – both of which require season tickets, but individual tickets may be available by calling the day of the show. Garret Art Gallery: Lori Bongiovanni, a self-taught artist, who has evolved from a love of watercolors to a progression into oils and pastels. She is drawn to colorful local events and likes depicting county fairs, chili cook-offs, parades, etc. 111 E. Virginia St.
Laura Moore Fine Art Studios: The four painters in this show, colleagues and friends through the School of the Art Institute of Chicago, are all interested in landscape as sources for their work. A free panel discussion takes place at 3 p.m. that day in the Heard-Craig Carriage House, but space is limited so register at lauramooreart.com. The opening night starts at 7 p.m. at LMFAS. 107 S. Tennessee. 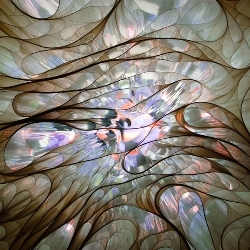 Orisons Art & Framing: The abstract images of photographer Ann Williams (pictured) will be featured at Orisons Art and Framing Gallery, with an opening reception on Second Saturday, 7-10 p.m. Williams’ images draw upon lines, shapes, and patterns in our everyday world, analyzed and reconfigured to tease our visual memories. 110 E. Louisiana. 2nd Saturday Magic Show: Head to Main Street Magic & Fun Company for a Cabaret Style Magic Show at 7 or 9 p.m. in our Magic Attic Theater. Tickets are only $10 and include a complimentary glass of wine for those 21 and older. Children are admitted to the 7 p.m. show. Seating is very limited so call 214-274-7802 to reserve your tickets. 211 N Tennessee Street. LaMisha Bistro: Local artist Becca Motley premiers her art at LaMisha this month. Here Come the Brides: The Wells Hospitality Group (Rick’s Chophouse, the Grand Hotel and Sauce on the Square) will host a Bridal Open House (March 31). Also in March: Crossroads Cowboy Church meeting at Myers Park (March 4) while Myers Park also hosts several dog agility shows this month (March 2-3, 9-11, and 31-April 1).